WASHINGTON—The Department of Homeland Security (DHS) and the Department of Defense (DOD) announced on July 19, 2010, that National Guard deployments to the Southwest border will begin on Aug. 1 as part of the Obama administration’s unprecedented efforts to combat the transnational criminal organizations that smuggle weapons, cash and people across our Southwest border. In May, the President authorized the deployment of up to an additional 1,200 National Guard troops to the Southwest border to provide support for intelligence surveillance and reconnaissance, and counternarcotics enforcement—providing support for one year as part of the administration’s unprecedented efforts to crack down on transnational smuggling and cartel violence, as CBP continues to recruit and train additional officers and agents to serve on the Southwest border. • 130 serving as command and control and other support. 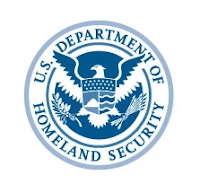 In deploying these personnel, the National Guard Bureau is operating under a request for assistance from DHS. Border security is a law enforcement mission, and these troops will augment the Administration's efforts to crack down on the drug cartels and transnational criminal organizations that operate along our Southwest border. The President has also requested $600 million in supplemental funds for enhanced border protection and law enforcement activities, which are critical to our ongoing efforts. Last week, Secretary Napolitano announced more than $47 million in fiscal year 2010 Operation Stonegarden grants for the Southwest border states to support law enforcement personnel, overtime, and other related costs to enhance the capabilities of state, local and tribal law enforcement to secure the U.S.-Mexico border. Nearly 80 percent of the fiscal year 2010 funding will go to Arizona, California, New Mexico and Texas—up from 59 percent in 2008. For more information, visit www.dhs.gov or www.ng.mil.